Some buyer face this problem, when they set the mini computer to “stand by” mode, they cannot wake the compputer up directly by mouse or keyboard, if press the on/off switch, the mini computer restart directly. 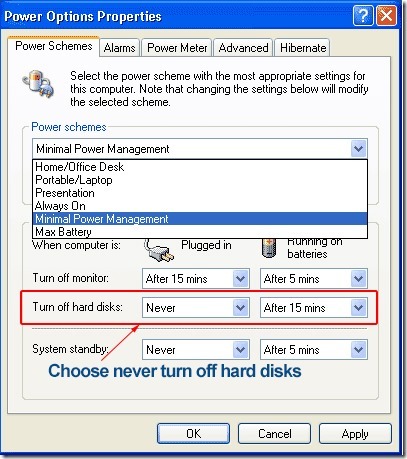 Secondly, click the > Change advanced power settings link in the bottom left. 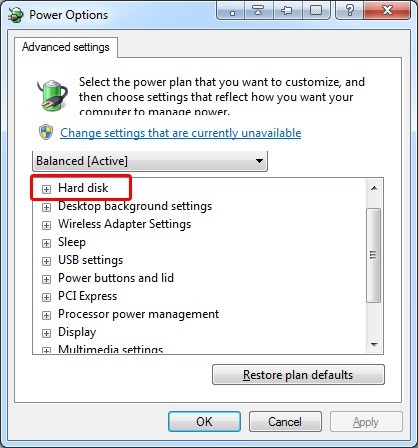 Hard disk: Set it never turn off the hard disk in sleep mode. 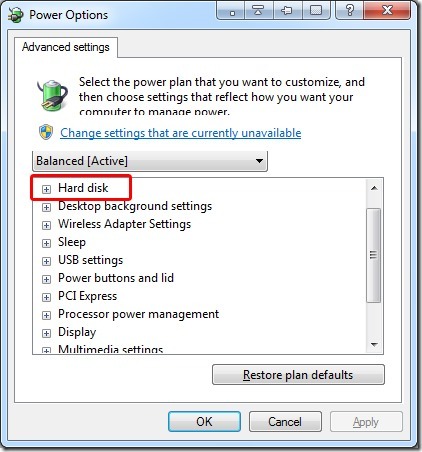 If you are running XP: Open the Control Panel and switch to Classic View (if not already selected), Select Power Options and adjust the settings in the power scheme, select never turn off hard disks,choose ok to save your changes. 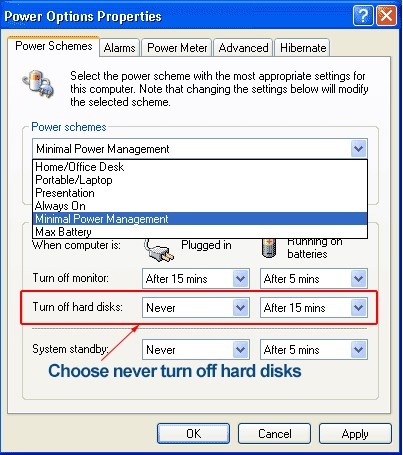 Once keep your Hard disk always wake, you can wake up the mini pc directly by moving your mouse or touch the keyboard directly.